Our iOS are tested and approved by Apple and are available for purchase via the official iTunes Appstore. Please click one of the linke below to be taken to the appstore page for tha app you are interested in. 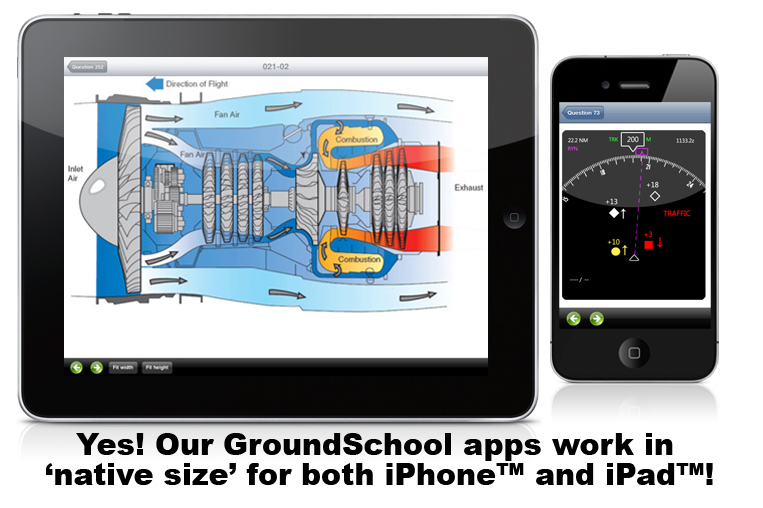 In addition to our PC and WindowsMobile™ offerings, you can now study for your EASA ATPL(A), CPL(A) and/or IR(A) theory exam using our GroundSchool JAA apps for iPhone™, iPad™, and/or iPod™ Touch. FREE built-in updates that ensure that you always have access to the latest CQB-simulatring questions. All charts and figures that you'll need to reference are included (though, as with the PC versions, you need to get your own Jepp student route manual). Compatible with all EASA (JAR-FCL, JAA) classroom courses and all JAA-FCL / EASA-FCL syllabus programs. 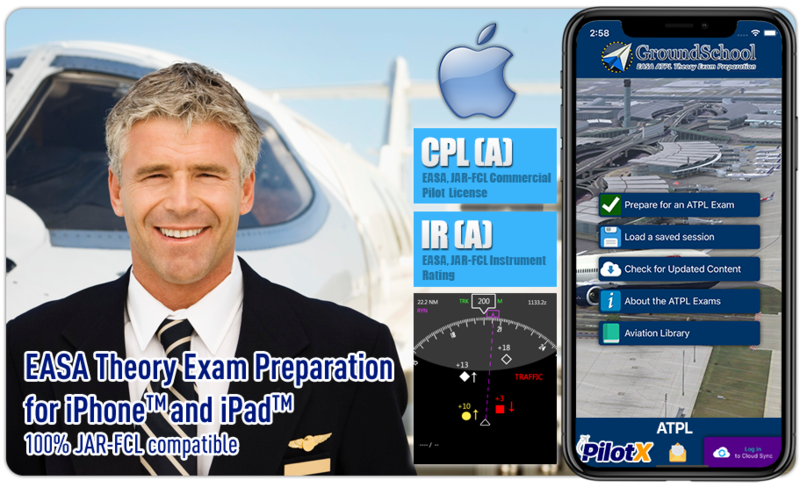 Do the apps contain study material for ALL of the, for example, ATPL(A) exams? Yes! Each spp contains study material for all of the exams. For example, the ATPL(A) (Airplane) title will help you prepare for all 14 EASA ATPL Airplane tests. Sorry, we do not have iPhone™ / iPad™ titles available for individual tests, but, the plus side is that the price for this iPhone™ / iPad™ version is a bit less than for our PC software. Here's the really cool thing - the iPhone™ / iPad™ apps feature a built-in update mechanism. What this means is that with just a few clicks, our app will check the internet for updated data and download them to your device as necessary. This is integrated, fast, and free for those who have purchased the app. The apps feature the same number of questions as the PC software. Our preps feature question sets very representative of current practice EASA CQB theory exam test banks.